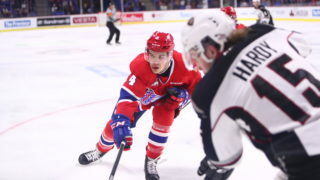 SPOKANE, Wash. – The Spokane Chiefs carried a 1-0 lead into the third period but couldn’t hold on in their third game in three nights, dropping a Sunday matinee to the visiting Seattle Thunderbirds, 2-1. 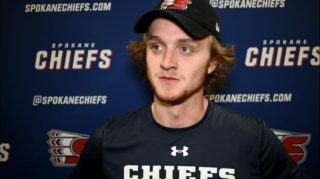 Jaret Anderson-Dolan scored for the second night in a row for the Chiefs. After a scoreless first period, Anderson-Dolan earned the game’s first goal on a power play at the 15:42 mark of the second. 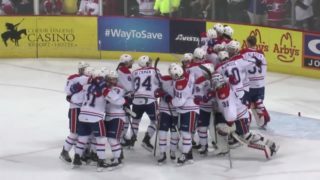 Carolina Hurricanes prospect Hudson Elynuik made a backhand drop pass to the crossing Anderson-Dolan, who hesitated before flipping the puck into the net from the left side for his 20th of the season. Team-leading scorer Kailer Yamamoto also earned an assist on the play. Columbus Blue Jackets draft choice Keegan Kolesar tied the game at 1-1 with a rebound score off an Ethan Bear shot at the 6:21 mark of the third period. 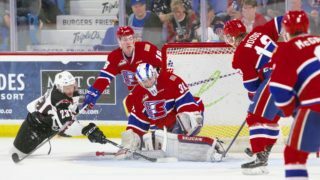 The Thunderbirds gained the lead with a deflection goal from forward Ryan Gropp with just over four minutes left in regulation as Bear earned his second assist of the night with the initial shot attempt. Seattle outshot the Chiefs 38-28. Spokane went 1-for-3 on the power play and 3-for-3 on the penalty kill. 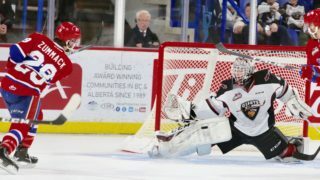 Spokane’s Dawson Weatherill earned second star honors with 35 saves while Seattle’s Rylan Toth turned away 27 shots for the game’s third star. The Chiefs hit the road for their next four games beginning on Wednesday night at Everett. Mike Boyle will have the radio call on 1510 KGA NW Sports Talk beginning with the pre-game show at 6:30 p.m. Puck drop is scheduled for 7:05 p.m.
Spokane next returns home on Wednesday, January 18 to face the same Thunderbirds squad on one of nine TicketsWest Player Magnet Giveaway Nights. They’ll then host the Kootenay ICE on Saturday, January 21 for General Store Buck Night & Jersey Rally Towel Giveaway as the Chiefs will wear special military-themed jerseys to be auctioned off on the main concourse. 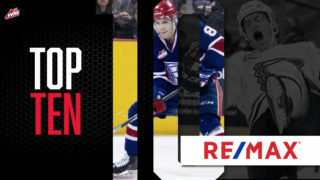 Tickets for January 18 and 21, as well as all Chiefs home games, are available in-person at the Chiefs’ Ticket Office, over the phone at 509-535-PUCK and online at ticketswest.com or spokanechiefs.com.